Ice Pirates casino slot game is probably the best looking game of Endorphina online slots. The company is known for their humble graphics quality, but they really raised the bar with Ice Pirates. The game has a cartoony look, but the graphics are very nice and we liked the art style. Feature-wise, it also offers more when compared to other games of the company. 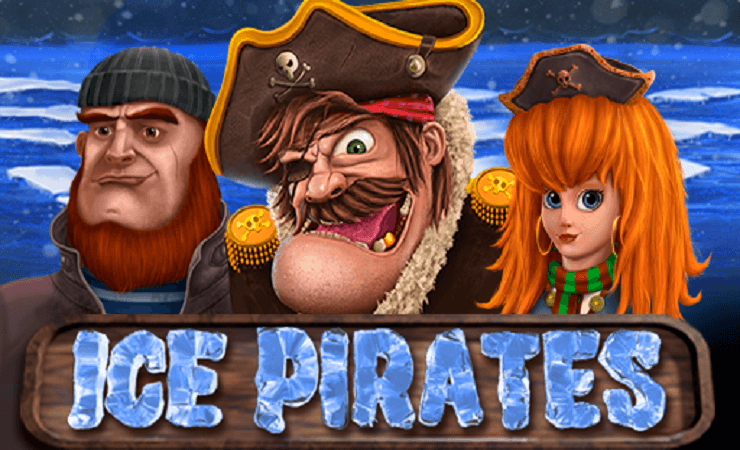 Ice Pirates online slot game by Endorphina contains 5 reels, 3 slots, and 10 pay lines. It is possible to win up to 100.000 coins per spin, but only if you choose to play with maximum bet levels. There are 12 symbols in total, but only 7 of them are high-valued. These ones are shown with theme-related pictures, such as polar bears, penguins, and portraits of the pirates. The maximum payout is 100.000 coins as we mentioned above, but betting 1.000 coins per spin is required to get this prize. When played with lower amounts, the payout values also change too. The low-valued symbols are shown with playing card signs and pay up to 4.000 coins. The portrait of the captain counts as the wild symbol. It has a payout of 100.000 coins and substitutes all other symbols in the game, except scatter. The scatter symbol is shown with a skull picture and pays up to 25.000 coins wherever it appears ın reels. In addition to that, three scatter symbols triggers 12 free spins. During the free games bonus round, every line win is multiplied by up to x20 – a very nice feature we fell in love with. Lastly, the game has multiplier symbols too and whenever one of them appears on reels, it multiplies your winnings by its value, up to x5. The bet values can set between 1 and 100 coins, like in all Endorphina games. It is possible to play a mini-card game based on pure luck to double your winnings after each spin, but the choice is yours, it is not mandatory. The payouts are good, winnings happen quite often and the graphics look very nice – we can easily recommend this game to every type of player out there. Play the free slots no download version first and hope onto the real thing afterwards. Play at Casino Avenue to find more slot games with different themes!